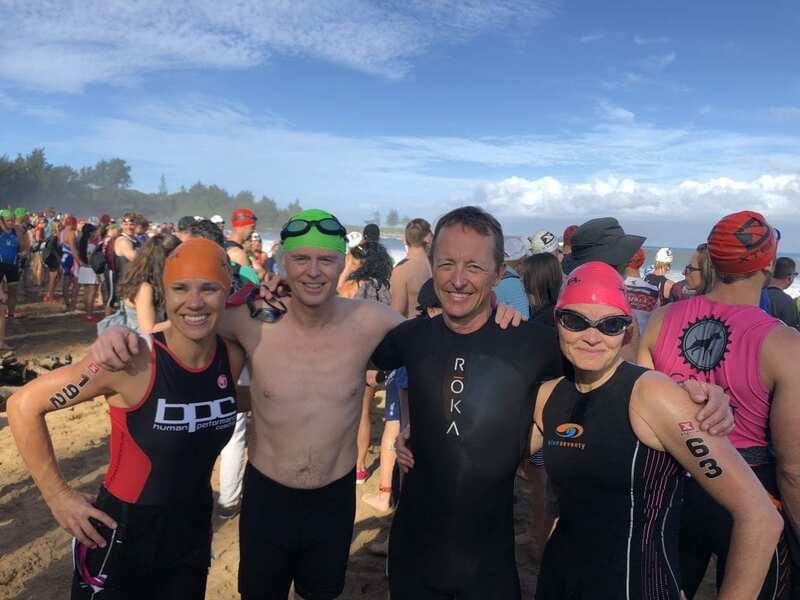 The key factor determining success at the 2018 XTERRA Maui Worlds was preparedness and perseverance. The mud turned what was an otherwise a fire road and climbing race into a sloppy, slippery, sticky mess. Everyone rode the same muddy course but those with the correct equipment ultimately had better results. Don’t mistake lack of preparedness for an excuse. A huge part of off-road racing is equipment and choices related to that equipment and the hallmark of a great athletes is preparedness for any conditions. Not being prepared is the same as not being fit. I thought I would address some of the grumbling I heard both in the professional and age group ranks about the course in Kapalua. I agree the course is not great and certainly I preferred the other course. However, neither course is/was great. I wish it would move around the world and crown athletes with different skill sets. However, these complaints have been voiced since I raced the first time in 2000. Back then the complaints were about how many flats people were getting because of the kiawe, how the course was dangerous, etc. The only thing that changed the venue was a sponsor. So unless the Ritz gets tired of muddy rugs we need to adapt to a course in Kapalua that is completely and hopelessly NOT weatherproof and which selects athletes that can go uphill. Not unlike the World Champs in Kona, certain athletes will/won’t suit Maui. Back to the mudbath. What made the difference this year? I took the time post race comparing bike setup to splits/results. It isn’t rocket science to know a narrower tire would offer more clearance. 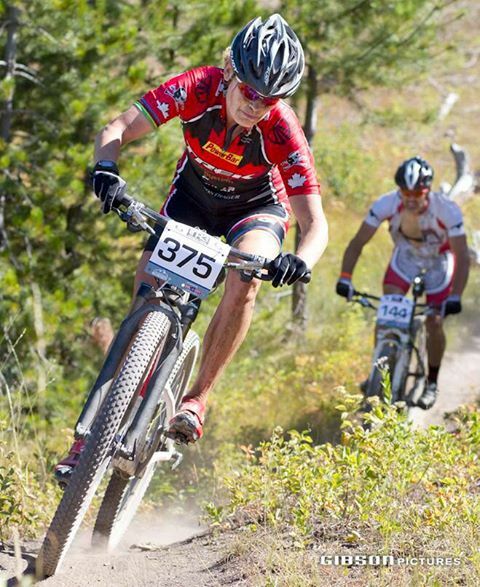 The pro men mostly rode dual suspension bikes and those at the front also had narrow mud tires. I think some that had tires mounted on narrower rims might have also had a bit of an advantage. The pro women mostly chose hardtails. In my opinion, this is a better choice for clearance and for weight (with all the mud on them) than the dual suspension. I actually don’t know whether there was a difference for 27.5 versus 29″ tires. Lesley rode by far the fastest on 27.5″ tires and a hardtail. Ruzafa rode the fastest on a duallie with narrow mud tires. Most xc dual suspension rear linkage designs on duallies created a pinch point for the rear wheel where the mud got stuck so narrow is likely the only option for athletes riding dual suspension. 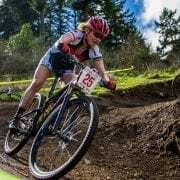 Some athletes chose mud tires in the women’s field but some rode wider tires with a hardtail with success. This doesn’t mean those with clearance weren’t also the fittest. The best pros on the circuit were also the best prepared for the day. Potentially in the men’s race, Rom was not only the best prepared but also the MOST EXPERIENCED riding in that mud. Costa Rica is legendary for creating unrideable muddy conditions according to anyone who has raced La Ruta. Doesn’t mean he wasn’t also the fittest on the day but conditions were perfectly suited to him. 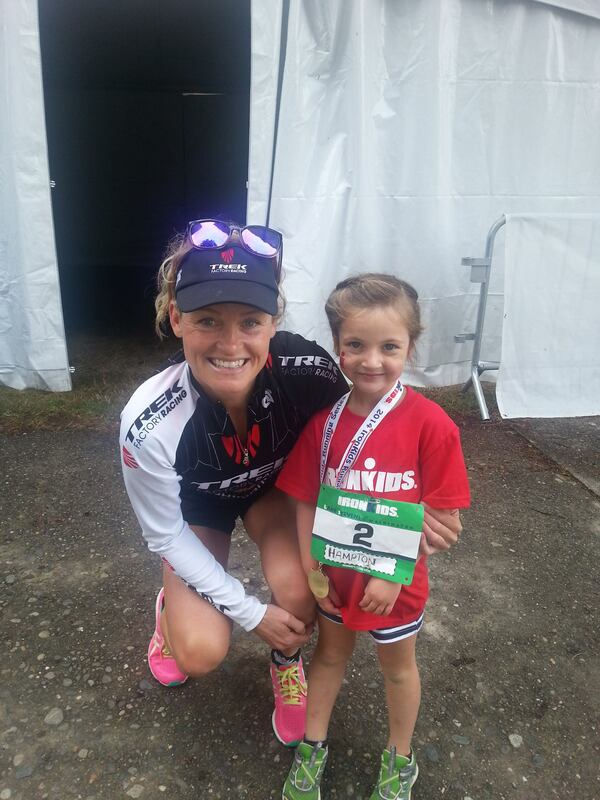 Similarly, Lesley was a favorite and delivered on the day with the fastest bike and run splits. Similarly, you need to be able to ride when you can. So I am certain all that had good bike splits also were riding well. These conditions show who has skills as much as fitness. In some cases, athletes got “lucky” with their setup. Some age groupers had all-mountain dual suspensions that would have been way too heavy for the steep climbing had it been dry but in Sunday’s conditions they ended up having lots of room to prevent clogging mud. I chose a dual suspension, on 2.2 tires, and wide profile rims thinking only of dry conditions on my departure. I would never make the choice to bring what I did again. The second part of preparation is recognizing you are flying to an island in the middle of the Pacific Ocean. Most of the time people mountain biking on Maui don’t RIDE when it is muddy. The general preference to locals is a high volume tire stacked full of Stan’s for thorns. So looking for narrow mud tires the night before is a fool’s errand. When I got to Oahu 8 days out and heard there would likely be no chance for the mud to dry I ordered narrow tires on Amazon. I express shipped them and they still missed the race, arriving on Monday after. You need to ARRIVE prepared. I’ll reiterate: lack of preparation is the same as arriving unfit. It’s no excuse. One of the other factors to consider is gear ratio. I posted about this on Instagram. In the end, I went with the largest gear ratio – 34T by 12/46. This reflects how little I have mountain biked in the past four years. From the first climb up I was stuck in 34×46 trying to go up the ridiculously steep cart path because my next gear 34×37 was too big a jump to shift to without standing and it was too slippery to stand. Once we got to the mud, having 100W of resistance added to those gears was impossible. I would go with a 30T or 32T next time. I was relegated within 11 minutes of starting the bike by my own poor choices. I averaged 107W on the day – less than a recovery effort of riding. Lastly, the run is as treacherous as the bike when it is muddy. Without a real trail shoe you will struggle to make forward progress. Even with a trail shoe you will likely fall down. I saw some of the pro men chose cross country spikes but if you don’t train in those you’ll surely injure yourself trying them for the first time on race day. Bring a rugged trail shoe just in case. Also, have spikes for your mountain bike shoes. Having those will be invaluable when you are walking your bike uphill. XTERRA is the best discipline of triathlon. Even the swim was gnarly. So for those who finished, especially those that experienced a deathmarch, be proud of yourself. That was REALLY HARD for everyone. Those that did the best found ways to stay positive, patient, and persistent. I warned my athletes that everyone is going to have the same story of hardship and some have the story and the result. 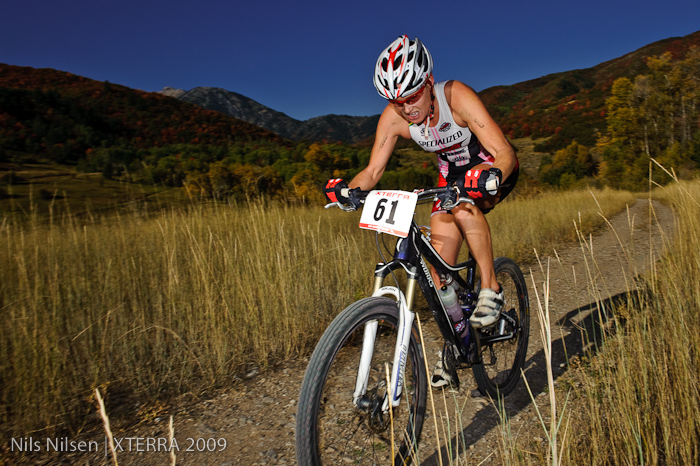 XTERRA is first you against the course and second it is you against the other competitors. I am one of many who were solidly defeated by the course this year. If you are like me, LEARN FROM YOUR MISTAKES, isolate what you will change to be better, and then TRY AGAIN. There is only failure if you stop trying. Finally, some athletes were asking me about how to ride on that kind of mud. I think your core base of skills can help you get through it. I host a variety of camps in Victoria, BC on technical skills for swimming, mountain biking, and trail running. If you want some help getting more comfortable in gnarly, wet terrain I can help. I may have forgotten what it is like in Maui, but I’m riding wet conditions all winter long. 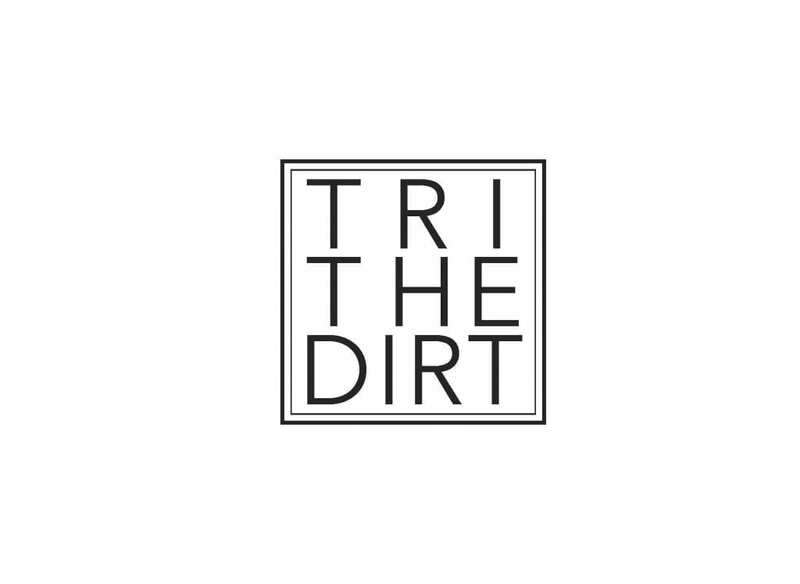 Check out www.facebook.com/trithedirt for more info. I wrote this with the fact I was IN THE RACE in my head while I wrote it… but I was writing it for the benefit of athletes I may or may not coach who want to think about next season’s approach. I was making sure there was no mistaking objective evaluation of the equipment side with making excuses for my performance. So I think I may have gone so far as to make athletes feel BAD about not having a good performance. 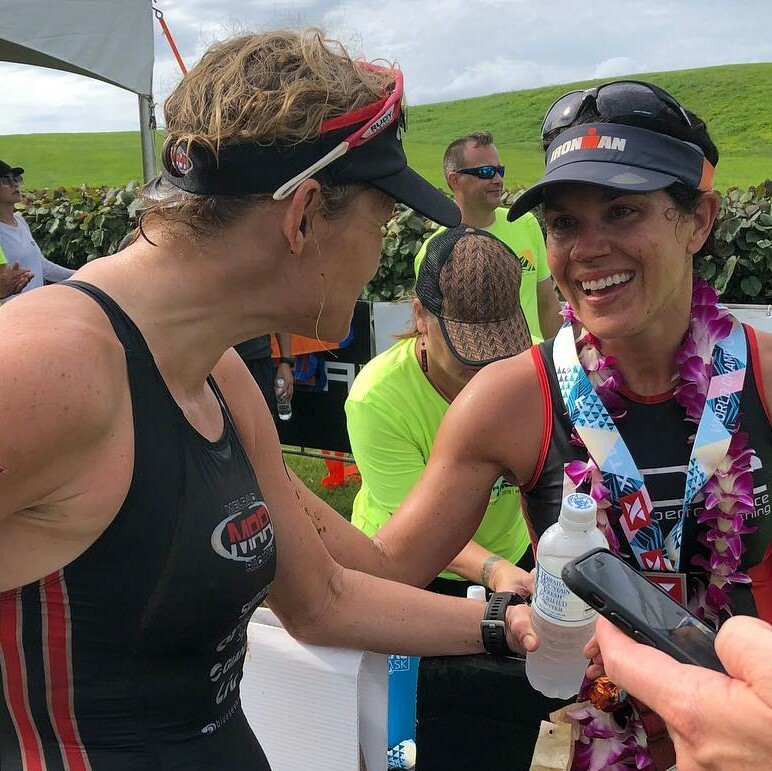 There is a possibility you came to Maui with the ability to have a great race… and the way the day unfolded did not allow that ability to surface. It’s too bad if this was your first time in Maui because it probably isn’t a good test as to whether you can be competitive if the race is dry. Also, I appreciate that AG athletes probably DON’T get the option of two bikes. I will admit that when I raced XTERRA I had one bike for XTERRA (hardtail) that I NEVER RODE in Victoria (dual suspension always better). So westcoast BC athletes would probably not bother with a hardtail. 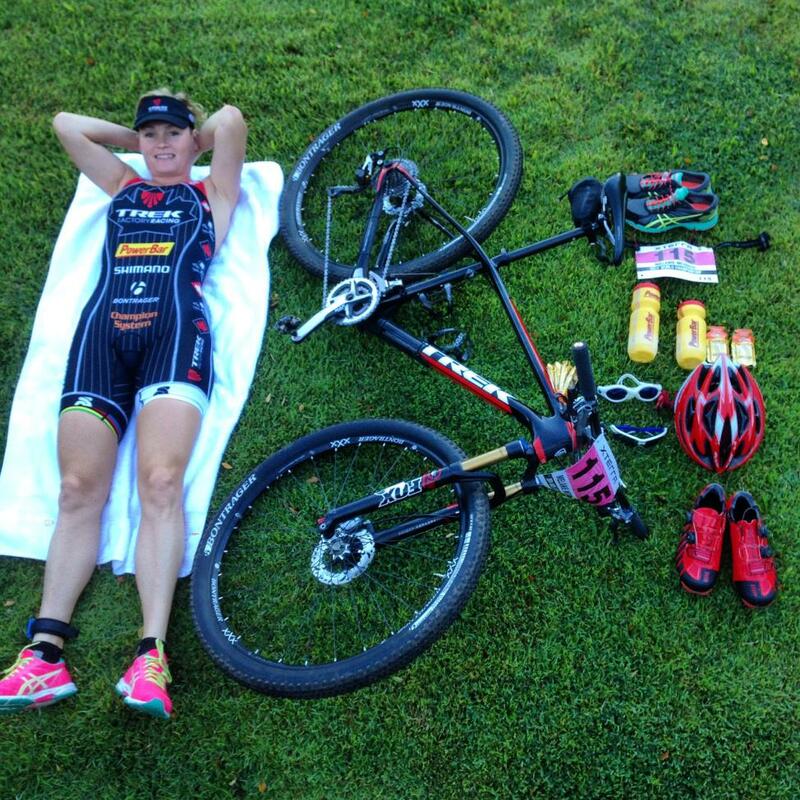 I tried to stay balanced with what other successful athletes used. Buying a bike/stuff for Maui is NOT what I am advocating… I was suggesting how to modify/prepare what you have. Also, I was being super hardass about all that stuff because I was very angry with myself for NOT being prepared. I am more calm now and I can say with certainty I feel the disappointment/bitterness with my race that I know a lot of you guys feel. But since it could happen again… I thought I would offer some advice to potentially have a better experience next year. You probably had some bright moments in the race after you literally washed the race off… so hang onto those and come back next year with a fire in your belly.